I’m back home in Washington this week. I’m antsy because the weather is too cold to get much done. Time for indoor projects. Today is all about growing your own pineapples. 1. Buy a pineapple. You want the leaves on top to be green. 2. Grab a cup or some sort of vessel capable of holding water. Put water in it. 3. Twist the leafy top from the pineapple. 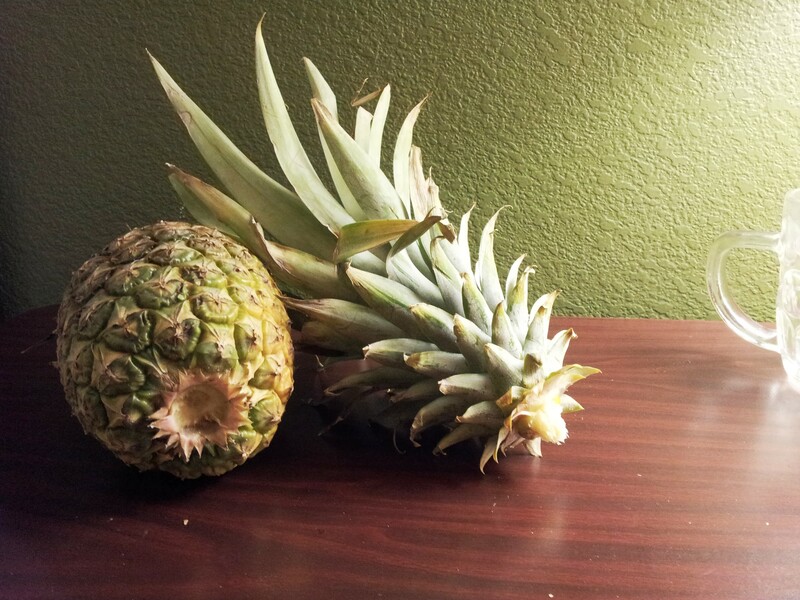 Feel free to eat the pineapple fruit. 4. 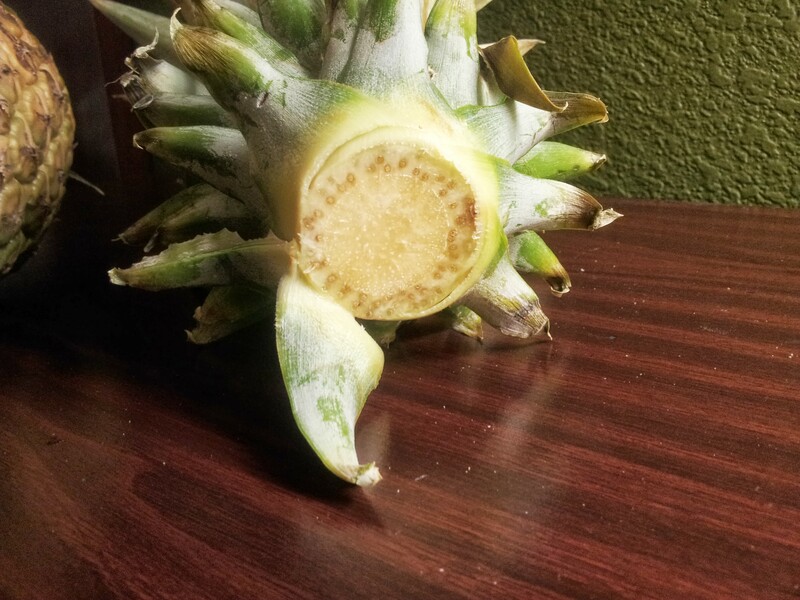 Remove leaves from the base of the pineapple stalk. 6. Insert the pineapple stalk into water, making sure that the trimmed part is submerged. 7. Move to soil when the pineapple roots have grown at least an inch. 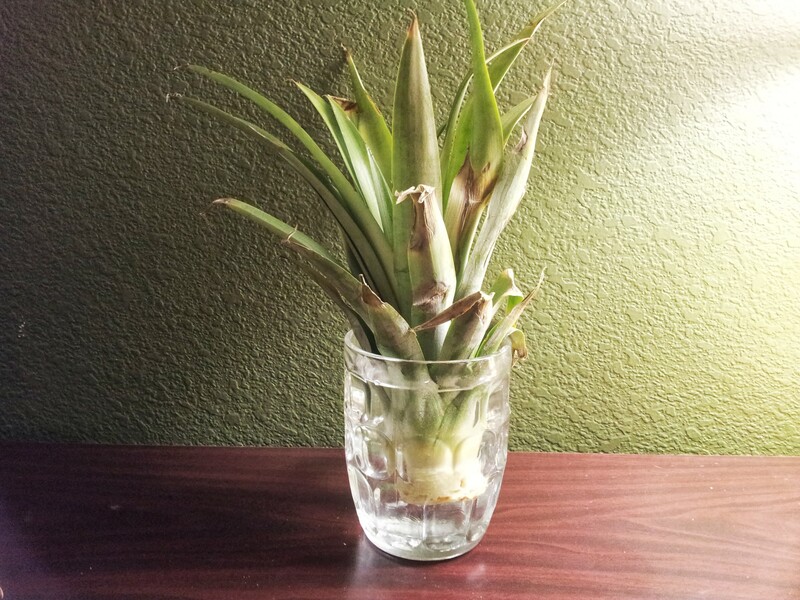 Pineapple is one of the few plants that I would grow in a grow bed (aquaponics). My experience is that the roots take about a month to get that long. Your moves may vary depending on light, etc. A note of caution: The stalks are easily blown over in the wind. I had an issue last year keeping the pineapple plant right side up in the grow bed. 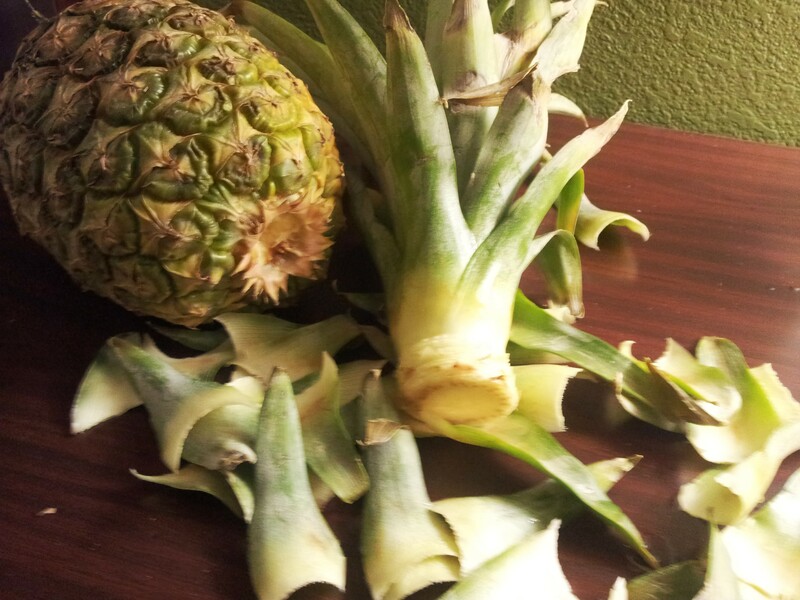 You might be asking why you should grow your own pineapples. Do you like pineapple? If so, do you have a problem with pineapples being shipped hundreds or even thousands of miles? Now you can eat your pineapple guilt-free. 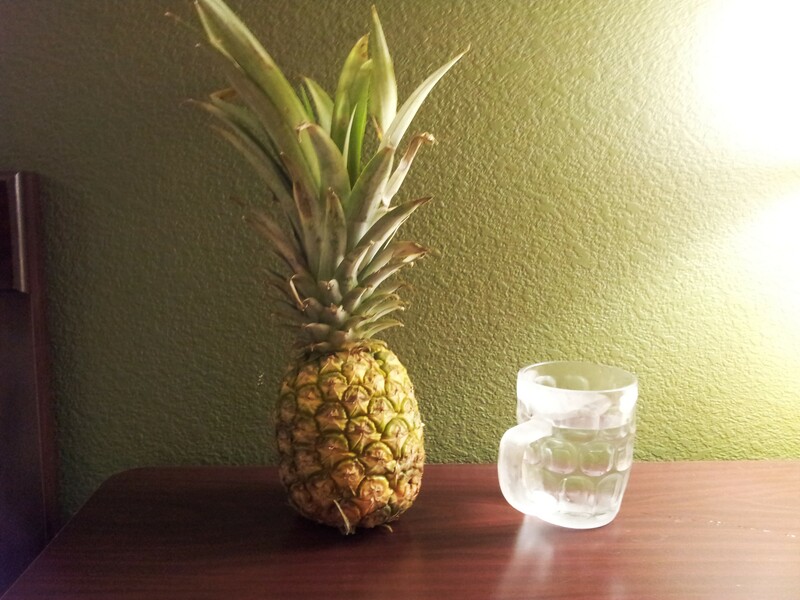 This entry was posted in Aquaponics, Plants, Shrubs and Trees and tagged pineapples by admin. Bookmark the permalink.